Fan fiction gets a lot of weird looks. From the predominately slashy nature of the writing to the more recent exposure associated with “50 Shades of Grey”, it’s understandable that people outside of fandoms just don’t get it. Fanfiction can be an alien concept to those outside of fandom, but here are a few names a lot of people are familiar with: Charles Dickens, Homer, and H.P. Lovecraft. All considered classic authors that have something in common with modern day fanfiction. I’m not going to try to tell you that E.L James’s series is on par with Dickens. It’s not, and even typing that makes my fingers twitch. But I will argue that famous authors share some of the same techniques and methods as fan fiction writers. 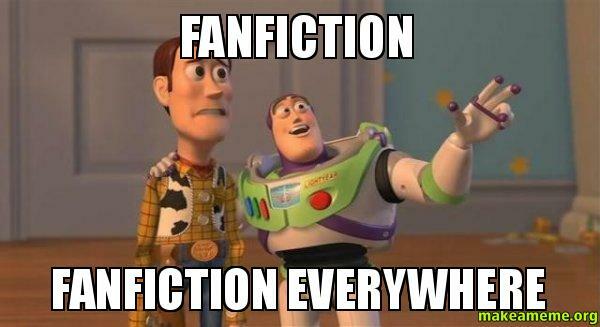 But first, for those who don’t know, what is fan fiction? 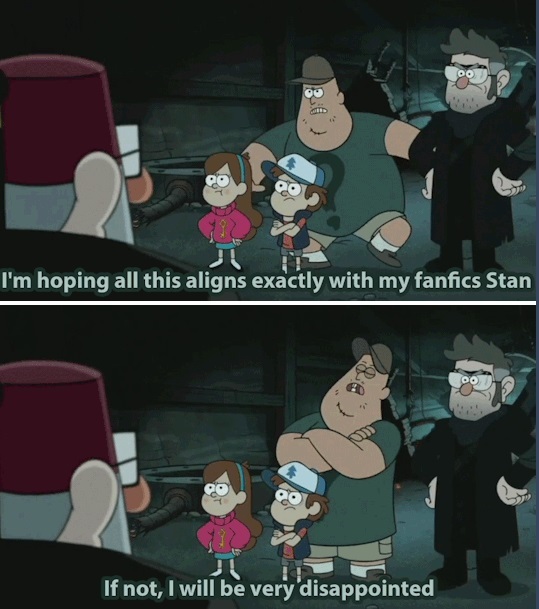 Fan fiction is when someone takes either the story or characters (or both) of a certain piece of work (whether it be a novel, TV show, movie, etc.) and create their own story based on it (Urban Dictionary.) Now that we got that out of the way, here is something that might surprise you: famous Greek storyteller Homer wrote fan fiction in the form of The Illaid and The Odyssey. This theory is based off of two main factors: first, The Illaid is considered to have a historical basis for the Trojan War thus resulting in historyfic; second, those Gods that are referenced and used throughout both poems were already established in pre-Homer Greece. Thus the “world” of his poems were already established. What Homer brought with his stories were a few new characters and the situations they encountered. In fact, the characters and stories spawned admiration that could be held to the same level as Harry Potter to ancient Greece. Various episodic poems were built off his characters, giving them background story and depth. Fan fiction for Homer’s Historyfic, just look at Virgil’s Aeneid which is pure Illaid fanfic from the eyes of a Trojan. The interesting thing about Greek mythology is that everyone was telling stories about the Gods and heroes; by doing so they added to the “canon” of the mythology. Achilles’ background and history wasn’t established by Homer, but by other poets at the time. As seen in The Achilleid, a 1st century epic poem that tells the story of Achilles and his mother. This all falls into the realm of retellings, which are becoming a popular subgenre in modern day publishing. There are fairytale retellings, Wizard of OZ retellings, and even a Pride and Prejudice novel that takes an alternate (zombie infested) path. Going back to the definition of fan fiction, these published novels fit the mold by taking an already established story or characters and switching them up for the author’s own needs. The term Alternate Universe is often thrown around on fan fiction websites but never once mentioned when it comes to published literature. Something many people don’t know about fan fiction is that it is often episodic. The writer will either write or post chapters in installments. Some fanfic writers are meticulous about posting once a week and some will have long dry spells between chapters, but most all post as they write. This often means the author can’t go back and make major plot changes or edits after they’ve posted a chapter; this is a difficult way of doing things if you don’t have an outline. Here’s the thing about writing like this: Charles Dickens wrote in installments as well, most of his novels were published in monthly installments. His first job of writing monthly installments was to accompany illustrations submitted by artists. Sounds a lot like how modern day fans will write fan fiction or fan art for each other’s pieces. Writing his novels by installment is often attributed to the reason why Dickens’ novels are so long, and we see the same trend happen in pieces of fan fiction. Where publishing companies often have a word count goal in mind when they print a novel, fan fiction has no such thing. An author is free to drag the piece on for as long as they desire and with fans often pleading for more, it’s hard to stop. However, for H.P. Lovecraft, interacting and engaging with fanfiction has seemed to work out for the better. While at the prime of his writing career Lovecraft had a close circle of writer friends. Together they often held letter correspondences encouraging each other in their writing and exchanging ideas. Lovecraft even inserted a few of his friends into his original pieces. This self-inserted character is also a troupe used by some fan fiction authors. One of these is author Robert Bloch who went on to write Psycho. Yes, the one Alfred Hitchcock later adapted into a movie. Bloch was an avid fan of Lovecraft and appears in the, “Haunter After Dark” disguised as a character named Robert Blake. Bloch is also credited for creating fictional items Lovecraft cites in his short stories. The Cthulhu Mythos genre name wasn’t penned Lovecraft but by friend and fellow writer, August Derleth. To Lovecraft his stories were something he shared within his circle, leaving it open reign for his friends to build upon and incorporate in their own writing. In short, the popular series of short stories that we know today would not have been completed without the input of Lovecraft’s friends and fans. Demeaning Fan Fiction as a lower form of writing is a difficult argument to make considering it is a form of writing that has been present for many years. From Homer to Lovecraft, even published authors find inspiration in the stories that float around them. Techniques learned from writing fan fiction help inspiring writers achieve their dreams of publication someday. A story shouldn’t be judged by its origin, but by its content and writing style. I was once told by a fellow writer, “No story is completely original nowadays. There are only about ten story lines out there, but everyone takes a different approach to them.” These words I’m finding to be more and more true as I study the craft of writing. In the end, I know my Cherik Fanfic won’t be the next Dickens novel, but it is still a piece of writing that brings joy to those that read it, and sometimes- that’s all it needs to be. I’m still a writer, am I not? 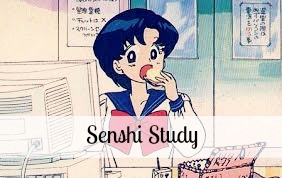 Senshi Study is where Cara Averna looks at anime, fanculture, and movies with squinty eyes and tries to gleam the deeper meaning. These articles are her own opinions based of self-research.